The biggest advantage of solar panels is that they make use of the energy produced by the sun – the most powerful and free energy available to all of us. That is why investing in such equipment is worthwhile and can result in massive energy efficiency. However, considering the fact that there is a wide variety of solar panel manufacturers and solar equipment on the market, choosing the best one for your home and choosing the best solar installer is not an easy task. To help you make up your mind and choose the one that will suit your needs, we’ve done extensive research. Here is what we have found out. Sunpower is one of the top companies making solar panels in 2018. These panels have the highest efficiency currently on the market and deliver maximum value and superb performance throughout their whole life. It is one of the most innovative and sustainable companies providing a large number of customers with workable solutions and valuable services. The company is headquartered in Silicon Valley but also has dedicated employees all around Asia, Europe, South and North America, Australia. These panels are the most efficient on the market because of their X Series panels which claim an impressive 21,5 % average panel efficiency. Although they may be a bit more expensive, they are usually one of the most favourite choices for anyone who considers efficiency as their top priority. EnergySage rated Sunpower Premium Plus which definitely makes them above-average. Based on their power output at STC (standard test condition), these panels are rated at particular wattage which involves 1000 watts of irradiation per square metre at a temperature of 25 C. (77 F). The temperature Sunpower coefficient is around average when compared to other better brands of panels. 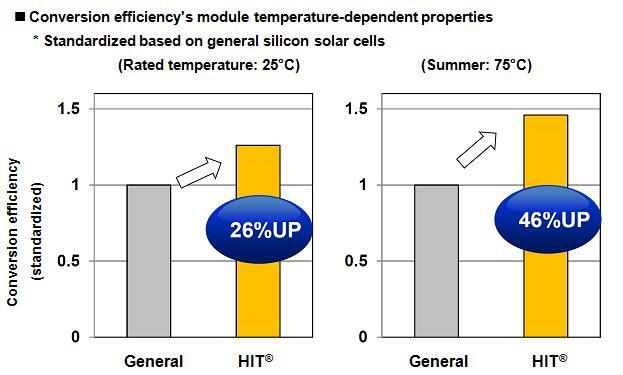 However, the temperature coefficient of -0.29 % from Sunpower X series panels is absolutely the highest. The company guarantees at least 98 per cent power for the first year which is followed by a maximum degradation rate of 0.25 per cent each year thereafter for 24 years. One of the most important factors when choosing your solar panel is definitely the cost. 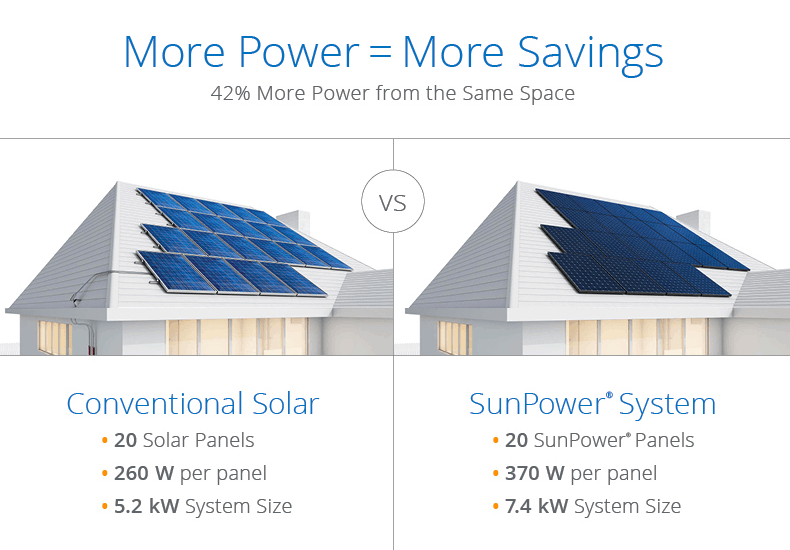 When it comes to Sunpower solar panels, it’s really hard to see their entire price. However, retails systems seem to be available with a tier one string inverter for around $3.50 per watt which is around $o.40 cents per wat more when compared to other leading brands. Keep in mind that they are sold as a premium offering. Solar energy is being widely used to power pretty much everything, from solar panels to solar ovens and solar cookers. One of the ways you can also make use of solar energy is to install solar pool heater that will help you keep your pool’s temperature pleasant. The company is undoubtedly best-known for the Sunpower X series of monocrystalline panels which are widely used across America. They also make E series of monocrystalline panels in the range of 320 to 327 watts whose maximum efficiency is 20.4 % which is pretty impressive. They offer a 25-year warranty on both product and panel performance which ensures that the panels have paid for themselves before a warranty expires. They have the most efficient solar panels used widely across the market. The solar panels have the highest PTC ratings compared to their nominal power rating at STC mainly because of their temperature coefficient. It is widely believed that Sunpower solar panels are manufactured in the US which is not really the case. They have factories in China, Mexico and Philippines. All the quality, attractive look and warranty protection come at a premium price. Keep in mind that you will also need an efficient portable solar generator when looking for a solar panel. Panasonic is undoubtedly one of the largest manufacturers of consumer electronics and solar panels. Panasonic Solar Panels have won both 2017 and 2018 best solar panels brand award. They definitely set pace in terms of performance efficiency. Panasonic’s most efficient panel is N330 with an impressive efficiency of 19.7 %. This makes Panasonic a top brand when it comes to solar panels. However, keep in mind that its efficiency varies greatly depending on the model you choose for your home. Generally, Panasonic panel efficiency ranges between 19.4% to 21.6% unlike the majority of others fall in the 14% to 18%. In other words, Panasonic solar panels belong to the group of the most efficient solar panels on the market. In order to evaluate the performance of Panasonic solar panels, you need temperature coefficient as an indicator. The temperature coefficient tells you how much your panels performance changes during hot sunny summer days. You need to take into account that the solar panels you install will see more than a few hot and sunny days during the year and will ideally have the lowest temperature coefficient possible. Panasonic’s solar panels have probably the lowest temperature coefficient in the industry at -0.29. Panasonic offers a 15 year structural warranty referred to as a “product guarantee”. Which is a longer than the standard 10 year. Their warranty guarantees 90% of rated output from the panels at standard test conditions for the first ten years and then 80% of rated power thereafter out to 25 years against any defects in their solar panels. The total price you pay for Panasonic solar panels largely depends on the additional equipment you choose for the installation of panels such as inverters and mounts. Also, the price depends on the characteristics the characteristics of your roof. Although it is hard to find out the wholesale price of Panasonic solar panels, according to the quotes from installers, most of the systems are usually priced between $3.37 and $3.86 per watt. Panasonic offers a 25 year product and performance warranty which puts it in the line of other solar panel manufacturers. The Panasonic increase the price per watt which may not be affordable to many people. Besides using solar panels for your home, you can also make more use of sun energy and make your home more secure by using solar gate openers or a solar attic fan. LG is one of the best-known companies in the world with an extensive experience behind. After almost ten years of PV module manufacturing, LG are now manufacturing their fourth generation panels and there is only a small number of companies that can compete with LG. LG solar panels are highly rated by customers worldwide not only because of the high standard of detail and finish, but also because of their impressive look. 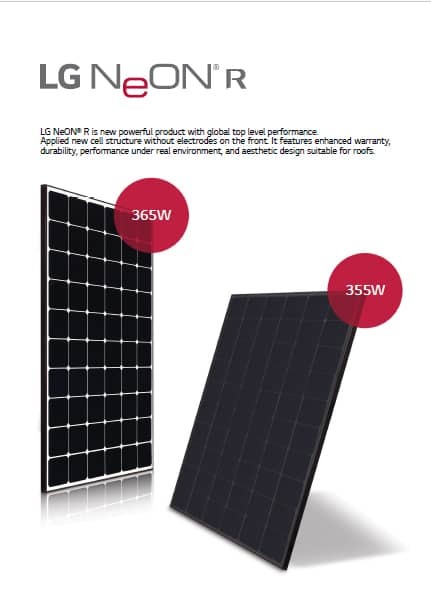 The LG Neon2 range of panels has incorporated BiFacial cell which captures the light from both the top and bottom of the cell allowing a much greater efficiency unlike a standard cell that has a polymer backing sheet that doesn’t allow the reflected light from underneath to reach the cell. LG manufacturers focus on producing a wide range of mono and polycrystalline panels which have greater level of efficiency and lower degradation unlike other lower-cost poly or multi-crystalline cells. Naturally, efficiency of LG panels largely depends on the model you choose. LG panels have approximately 16.9 % efficiency, and premium LG solar PV products operate with impressive 19.5 efficiency. LG uses Lilly technology (boron combined with hydrogen) to reduce the rate of light induced degradation (LID) in the cells used in the LG Mono X panels. All of this puts LG in the top of 10% of solar panel brands for efficiency. The N-type cells used by LG have exceptionally good and long-term performance in terms of low light-induced degradation (LID). LG cells ensure a much lower rate of degradation which contributes to the overall performance and increases energy. A claimed 86-88% rated capacity remains even after 25 years. When evaluating the performance of solar panels, it’s also important to take temperature coefficient into account. The temperature coefficient of the LG Neon II solar panels is a -0.38% fall in production per 1 degree increase in temperature. The LG coefficient is around average when compared to other big brands of panels but it still cannot beat the temperature coefficient of -0.29% from Sunpower X Series panels. When choosing the right solar panel for your home, the price plays an important role. Generally, LG systems are typically priced at between $3.30 and $3.67 per watt. In other words, if you want to but an average 5 kW system, your gross cost would be from $16,500 to $18,350. As with other solar panels, it is hard to get the wholesale price of LG solar panels. However, retail systems seem to be available for around $3.20 per watt if you are paying in cash. The best way to find out which solar panel will perfectly suit your needs and home is to get multiple quotes with different solar equipment options. While most of the manufacturers provide 10 years of product warranty period, LG offers 25 years of product and performance warranty, offered by Neon R and Neon 2 panels which is two years above industry standard. On top of that, LG performance has a minimum 86% retained capacity after 25 years on Neon 2 and Mono X. Another thing to keep in mind is the sustainability of solar panels. LG Electronics has been nominated many times by Corporate Knights as one of the top 100 sustainable corporations on the market. Due to the fact that LG produces highly efficient and long-lasting solar panels, they are generally more sustainable than many other which failed only after a few years. 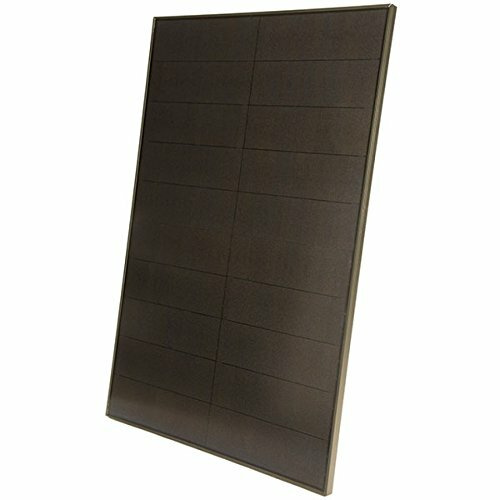 -huge panel efficiency levels (when compared to Sunpower), because they gather more power per sq foot than most manufacturers on the market. -an internationally recognised company providing a safe and reliable option. -not the most efficient panels when compared to the impressive Sunower or Panasonic but still at the top rank. Besides sun power, wind energy is one of the new forms of viable energy you can take advantage. For example, home wind turbines are efficient and powerful and can last for decades. Hanwha Q CELLS belongs to the group of the biggest sellers of solar panels in the world – in 2017 they produced 5.44 gigawatts which was a major increase from 4.58 gigawatts they produced in 2016. It is also one of the largest photovoltaic manufacturers worldwide based in Seoul, South Korea and Thalheim in Germany. 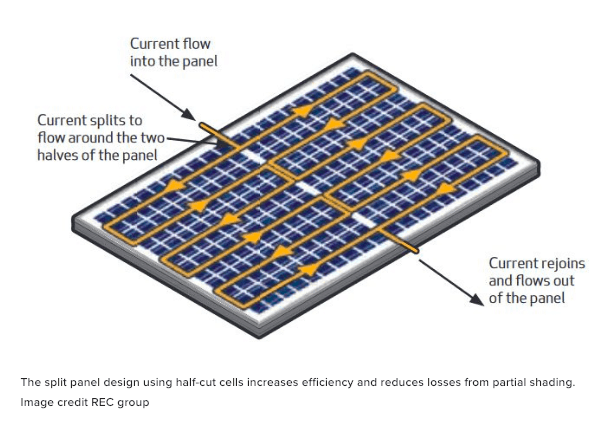 Most Q CELLS panels fall into a group of “standard” efficiency range for solar. Generally, the efficiency of these solar panels runs between 16 to 19 percent. Although the Q Cell series cant quite match the efficiency of Sunpower, it is still a competitive entry regarding the overall efficiency. However, the panels with 18% efficiency or higher are considered to be highly efficient. Another thing you should consider is the power each solar panel produces, or the WP (Watt Peak) rating. One of the Q CELLS series options, the Q.PEAK DUO BLK-G5, offers a WP output of 300 to 320 Watts. Therefore, despite not so high level of efficiency, there solar panels offer a comparable amount of total power when compared to Sunpower options. Most Hanwha Q CELLS systems are typically priced between $2.95 and $3.52 per watt, which makes Q CELLS one of the best values on the market for home solar. In other words, the price for an average 5 kW system is anywhere from $14,750 to $17,600. Although these solar panels do not have top-level efficiency and productivity, their prices match their quality and is a good solution for many homeowners who are looking for the best solar panels for their home. Hanwha Q CELLS offers a 12-year warranty and 25-year linear performance warranty. In other words, the users of these solar panels are guaranteed at least 98 per cent minimal power during the first year where degradation can reach a maximum of 0.54 per cent per year. Besides using solar panels, there are many different ways you can use powerful solar energy. For instance, if you have a flag at your home or business, you may want to make it more visible during night. The easiest way to do this is to use solar power flagpole light which does not require any other energy besides sun power. Solaria solar panels have an efficiency rating of 18.7% to 19.3% which puts them in the Premium category when it comes to solar panels efficiency. An interesting fact you should be aware of is that only 5 percent of solar panels meet the criteria for Premium rating. Solaria solar panels run a patented cell cutting and eliminate busbars and ribbon interconnections. The cells are cut and overlaid without soldering which results in creating a highly reliable power unit assembly. On top of that the PowerXT module is specially design to cut he power losses caused by shadowing access the module. Solaria’s patented cell cutting and ‘high density’ sub-strings are packed more efficiently and reduce inactive space between cells. One of the most important goals of Solaria is to produce appealing and good looking solar panels. With these solar panels, all black shingled solar cells are combined with a black frame which makes them even more attractive. The PowerXT module has a visually stunning appearance when compared to any other solar system on the market. This appearance is achieved by removing visual gaps between cells. Unlike the most manufacturers which offer 10 years warranty, Solaria offers a remarkable 25-year warranty against any defects in their solar panels which is why they earn a Premium panel rating. In other words, the warranty leads the industry because they give 25 year hardware and production coverage. On top of that it has excellent snow tolerance and has been tested for sal mist in coastal climates as well as for sand and dust in desert climates. Many different approaches have been taken to get more electricity off of solar PV cells from moving the electrical contacts to the rear to wiring mesh interconnection to replace busbars. Solaria managed to remove busbars entirely by slicing PV solar cells into segments and stringing them together. This results in attaching cells with no busbars which brings more aesthetically pleasing look as well as increased efficiency. When it comes to shading, these solar systems are highly efficient. Once a solar panel experience shading it might stop producing energy if it doesn’t have micro solar panel inverter/optimizers. This can significantly affect its production. The Solaria PowerXT solar panels will only be partially affected. For instance, if 10 % of this solar panel is shaded it would produce 10% less power instead of zero energy like regular solar panels would. To evaluate the performance, we needed to take temperature coefficient into account. The temperature coefficient tells you how much your panels performance will change when it is really hot out in the open air. All Solaria panels have temperature coefficient rating of -0.40%/°C which means that if panels temperature increases by one degree, its electricity production will reduce by 0.4. 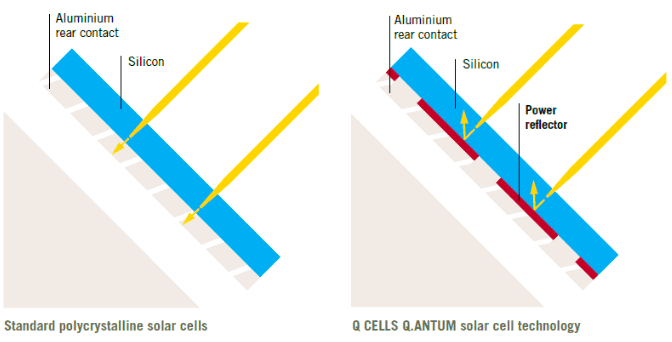 Sub-strings of solar cells in the module are interconnected in parallel which significantly improves shade tolerance. They have efficient modern design without busbars which also increases efficiency up to 20%. Lower system price due to more power per square foot. This also results in the decrease in the number of panels as well as installation labor costs. Certified for up to 1,000 volt solar panel system arrays. No cons could be found. While solar panels help you save you electricity and become more eco-friendly, there are ways you can use solar power to keep your property well-protected at all times. For example, an electric fence needs charging and the best way to charge it without spending too much money on electricity is to invest in an efficient solar fence charger. Hyundai industries was established in 1972 and has been gaining popularity ever since. Hyundai Solar started its solar business in 2005 and their panels are produced in South Korea. Hyundai solar panels are generally considered a great option for people looking for affordable solutions It’s undoubtedly a trusted brand which has expanded on the solar panel market and has a solar cell production capacity of 600MW per year. When considering the solar panel performance you need to take temperature coefficient into account. The ideal temperature for solar panels is 77 degrees. The lower the temperature coefficient the better. Hyundai’s temperature coefficient is between -0.45 and -0.41 which means that the panel produces 0.40% less energy for every degree over 25°C/77°F. Most Hyundai PV systems are typically priced between $2.83 and $3.10 per watt, which puts them below average in the market for home. Although Hyundai solar panels don’t offer a particularly high efficiency and performance, they are a low-cost option especially for people looking who have a significant roof space and are interested in buying a solar panel from a trusted brand. NAturally, prices may vary significantly based on where you are located and what suppliers near you can offer you. Before choosing the right solar panel for you, check out the marketplace. The output warranty covers 90% of minimum power for the last ten years. From year 11 to 25, there is a minimum 80% power output. Generally, Hyundai offers a warranty that is lacking in comparison to some other manufacturers who offer a 90% output warranty after 25 years alongside a 25-year product warranty. Also, it provides a linear 30-year performance warranty. The good thing is that Hyundai produce a variety of other products. -PERL technology – Hyundai solar panels are made of highly efficient locally-diffused (PERL) solar cells which can improve energy conversion efficiencies of silicon solar cells up to 24%. Small form factor 220-240W 54-cell series is suitable for small roof space. -Hyundai panels have a lower efficiency than other top-tier brands such as Panasonic or SunPower. This means you will need more Hyundai panels to achieve the system output you need. -They offer average power output and product warranty. Sun power can be used in many different ways to turn your home into eco-friendly and serene ambience. For example, solar fountains can breathe in air of peace and still save you large amount of money in the long run. Canadian Solar, which was established in 2001, produces of Tier 1 solar panels. Even though the name implies they are manufactured in Canada, only a 10% of their manufacturing capacity is from this country. Canadian solar panels we buy are mostly manufactured in China. Since most of these solar panels are corrosion resistant, they are suitable for installation in Australia as well. Still, they are one of the largest solar panel manufacturers operating currently on 6 continents. While the company may be well recognised across the globe, it is still a question whether it is suitable for your home. We did a bit of research to find out that for you. The efficiency of your Canadian Solar panels varies depending on the specific model that you need for your system. These panels have an efficiency rating of 15.9% to 17.2% which puts them in the “standard” efficiency category for solar. Superpower panels are ultimately the highest efficiency panels produced by Canadian Solar which can be up to 18.3 % efficient. The highest efficiency panels produced by Canadian Solar are their Superpower panels which can be up to 18.3% efficient. Their higher than average efficiency can be useful when available roof space is limited. Most of the Canadian Solar Panels have a glass on top and a plastic sheet underneath. What makes these solar panels different is the fact that their plastic sheet is replaced with another layer of glass which reduced the rate at which they deteriorate over time and makes them more resistant. Although they are a bit heavier, they undoubtedly very effective. Like most solar panel manufacturers, Canadian Solar Panels offer a standard 10-year warranty. However, these solar panels have quite a good performance which means they will continue producing power for additional two or three decades. However, they cannot compare to some manufacturers like Panasonic which offers a 15 year and 25 year warranties. The decision of Chinese government to cut their solar feed in tariff in the middle of 2016 resulted in lower prices of Canadian solar panels. This has been reflected in some excellent pricing being offered on residential Canadian solar systems. Some of them were even as low as $2.80 per watt. If you take into account that 30%tax credit comes off this price, this is an excellent and pretty affordable choice for most homeowners. The offer an excellent linear power production warranty. -Since they are manufactured in China, they will always battle the common belief that the solar panels made in China are of lower quality. -It’s hard to say whether they will be around in 25 years from now. Besides solar panels that will save you a large amount of energy, you can also use the power of the Sun to breathe new life to your landscape design. With solar landscape lights, you can easily illuminate your pathways and driveways. 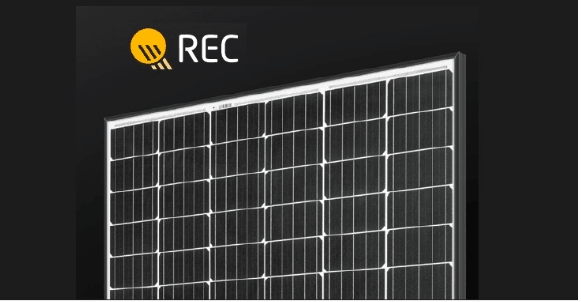 REC Solar was founded in Norway and has grown into one of the leading solar panel manufacturers ever since. Currently, it is one of the largest European suppliers of solar panels. It has had a total production volume increase of almost 40% in 2018. The half-cut cell design splits the solar panel into two halves with 60 ‘half-size’ cells in each section which results in 120 cells in total. Although the two halves are joined in the center of the panel, they operate separately. In other words, if one half is shaded it doesn’t decrease the performance of the other half. REC has focused on the Polycrystalline modules, sometimes also known as multicrystalline solar panels. They have become leaders in a module efficiency for this type of panels. Generally, these solar panels have efficiency rating of 15.2% to 19.8%. However, the series with the highest efficiency is undoubtedly REC N PEAK which gives 19.8%. Although it is difficult to Most REC Solar PV systems are typically priced between $2.78 and $3.05 per watt, which makes them a strong value in the market for home solar. REC panels have temperature coefficients ranging from -0.31 to -0.33%/deg C.Also, according to the latest 2018 DNV-GL test results, REC TwinPeak modules are the Top Performers third year in a row. Since these panels are manufactured in Singapore and not in China, they may be exempt from the new 30% import duty. A slight downfall in a warranty length on product and performance (standard 10 product and 25-year performance warranties). REC group does not offer high efficiency monocrystalline modules that can compete on the scale of SunPower, Panasonic and LG. Also, keep your property safe by installing solar motion sensor lights that will alert you any time they detect some kind of movement. Yingli is a chinese manufacturer with an office in Sydney. It is now a leading Tier 1 solar energy company which sells their products all around the globe. Thirty million solar panels are operating currently in more than 40 countries. Yingli solar panels are able to reach efficiency levels up to 17.2% which is a high output performance which puts it in line with all the leaders in this industry. 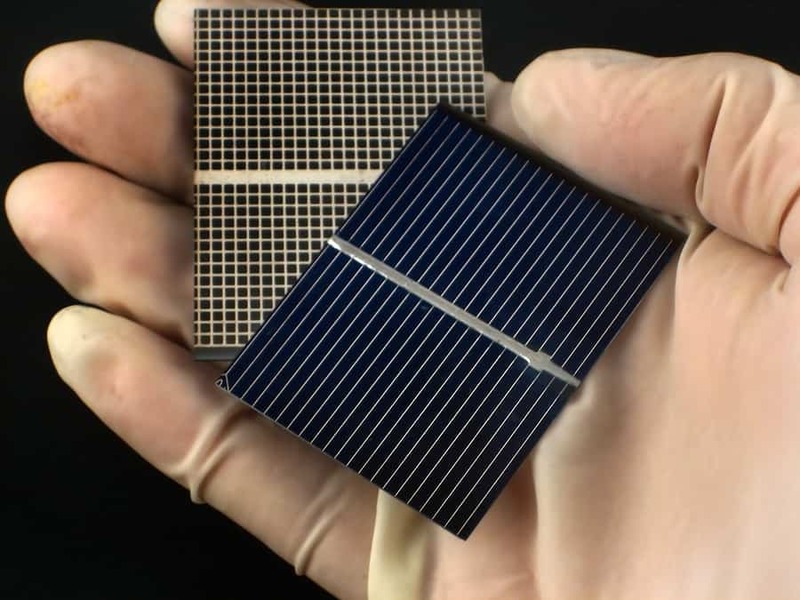 According to the test results these solar panels are able to endure high-performance levels in different conditions. The front cover of these solar panels is made of low-iron tempered glass at a thickness of 3.2 mm. An encapsulant material is used for better resistance and the panel’s frame is made from aluminium. On top of that, it is corrosion resistant. There is an anti-reflective coating which role is to direct more light onto the solar cells which brings higher energy. These solar panels come in a variety of sizes which means they can be installed on roofs of various sizes. These solar panels can be bought from around 75 and 250 pounds. When it comes to the warranty, they offer a 25 year limited power warranty. The company guarantees that you will receive 98% of the minimal rated power after the first year and 92% of the minimal rated power output over the course of next ten years. In 2016 Yingli was described by a market analyst as being a company on the brink because of serious financial losses. Solar energy can be harnessed using a variety of ever-evolving technologies. For instance, solar laptop charger allows you to charge your laptop’s battery whenever and wherever you are. Suniva is one of the top manufacturers in the solar panels industry today, especially in United States. The headquarters is in Georgia and the solar panels are produced from the materials produced in America. These solar panels are an excellent choice for people looking for good quality but affordable solar panel. Suniva have approximately 16.7%. Its highest-efficiency product has 17.7 % efficiency. ALthough these panels cannot are not as efficient as market leaders such as SunPower, they still are ideal for many homes. Most solar panel manufacturers, including Suniva, offer a 10-year materials warranty. Panels from industry-leading manufacturers will often come with a 12, 15, or even 25-year warranty. Suniva offers mid-range, American-made solar panels at an affordable price. However, the best way to decide which Suniva solar panels is the right choice for your home is to review multiple quotes with different solar equipment options. -Suniva was locked in bankruptcy proceedings until June 2018, when it was acquired by SQN Capital Investment who took ownership of Suniva’s technology, manufacturing capabilities, and licenses. -Since they have lower efficiency, you will probably need to install more solar panels to receive the same total energy output. Thanks to the growing popularity of solar energy, we can charge our devices easily and super fast while being eco-friendly at the same time. For example, 12v solar battery chargers are an amazing invention that extends battery life and saves a lot of money in the long run.